Currency has played a central role in most business valuation and financial forensic engagements since the origination of the two terms. What has not been so clear lately is the changing nature of currency and for that matter, the very definition of money itself. This article explores how digital currencies originated, their attributes, and how they should be considered for your next valuation or forensic engagement. Digital currencies have proliferated in recent years, originating with Bitcoin in 2009 to almost 700 different cryptocurrencies with a market value of $5.8 billion at the time of this writing. To understand the concept of digital currencies requires a quick refresher on the nature of money. The definition of money is something generally accepted as a medium of exchange, a measure of value or a means of payment. Ever since society moved beyond the barter system, money has facilitated the exchange of goods and services. The dilemma of transporting bulky commodities was solved once currency performed the intermediary function between buyers and sellers. The currency exchanged between the parties during transactions is expected to be reused in the future. The measure of value is widely considered the most important and essential feature of money. Storing $100 of value on a piece of cotton fiber paper and predictably retrieving its purchasing power is a fascinating concept. While value can be stored in other assets such as real estate, precious metals, or capital assets, it’s inconvenient to access for small transactions. Again, currency solved this dilemma by facilitating the retrieval of stored value. Prices are often quoted in terms of money rather than other terms or equivalents. A new smartphone will be offered for $500 rather than 125 gallons of milk per phone. Using money as a unit of account effectively standardizes the unit of measurement for easy interpretation and understanding. The concept of money can be expanded into the means or method of payments. These methods include officially coined or stamped metal currency and paper money. The “traditional” sources have been the only acceptable methods of payment until digital currencies arrived. The first step to understanding digital currencies is that there is no need for tangible money. In fact, there is no such thing as a bitcoin or even a Bitcoin company. Admittedly this sounds strange, so let’s not get too far ahead of ourselves. Digital currencies are a medium of exchange that operates like a currency in some environments, but do not have all the attributes of real currency. So while digital currency functions as money, it doesn’t have the backing of the United States or any other country designating it as legal tender. Whether you realize or not, we are all versed in the concept of digital currencies through providers offering frequent flyer miles, credit card points, electronic coupons, Microsoft Points, Facebook Credits, etc. However, the difficulty converting these to other currencies or providers means they lack the equivalent value in real currency (without substantial discounts). This all changed with the advent of Bitcoin, the first decentralized virtual currency. Bitcoin is a peer-to-peer online virtual currency designed around the idea of using cryptography to control the creation and transfer of money rather than relying on a central authority. This cryptography feature led to the term “cryptocurrency”, or money that is hidden and private by means of encryption or coding. Created by the elusive Satoshi Nakamoto, Bitcoin remains the dominant digital currency in a crowded field of copycats termed “altcoins”. At the time of this article, digital currencies processed approximately $76 million in daily transactions, with Bitcoin representing 89% of the total. In contrast to other centralized digital currencies such as Linden Dollars, Liberty Reserve, or Perfect Money, Bitcoin is based on distributed networks where participants maintain the database of valid bitcoins used to verify transactions. Bitcoin has no independent value, and is not tied to any real-world currency. Its strength and value come from the fact that people believe in it and use it. Bitcoin has ardent supporters, from the gold bugs looking for an alternative investment to the libertarians looking for anonymity. The reasons for Bitcoin’s popularity include being untethered to any government, the lack of middlemen (banks), the global reach, and the counterfeit proof features of the software. This may partially explain why Bitcoin is trading at a $10-$15 premium in China versus European and U.S. Markets. The bitcoins can be defined as a unique string of numbers (or a chain of digital signatures). Each owner of the currency has a pair of keys, one public and one private. These keys are saved locally in a file (digital wallet) and, consequently, a loss or deletion of the file would mean that all bitcoins associated with it are lost as well. Users enjoy the anonymity of the process, low transaction costs, and an uncorrelated investment (albeit a very volatile one). While, it is one thing to be anonymous while shopping, users can still be investigated by law enforcement or forensic operators. There are two key features written into the software which make identifying and tracking these accounts possible. The block chain and digital wallet ensure the same bitcoin can’t be used twice, as discussed in the forensic section below. The treatment of virtual currencies as property removes a number of government regulations, allows taxpayers to donate appreciated valued holdings to charity, and affects the valuation engagements in the form of discounts. Let’s say your next valuation engagement involves a company with a Bitcoin or altcoin account. Determining the value on any particular date is as easy as looking up the market price on an index. If the entity is an operating business, the Bitcoin account likely won’t have a material effect on the valuation unless it’s deemed an excess asset. However, for a holding company valuation, the digital currency account may affect discounts for marketability, trapped-in capital gains taxes, or even a portfolio discount by its property classification. Experimental Phase Digital currencies are still evolving and have limited vendor acceptance. The change from experimental novelty to mainstream acceptance may never be realized. Technology There are almost 700 digital currencies available today. The risk of a break-through technology in the form of a better digital currency is an ongoing threat as any holdings may be obsolete in the near term due to competitors. Volatility This is likely the most significant risk due to the wild price fluctuations of the virtual currencies. To illustrate, the bitcoin price went from $224 in early September, 2015 to $484 by November 4, 2015 and down to $353 a week later. The potential for the asset having a zero value or 10X at the measurement date is not unreasonable. Regulations The government regulations are slow to evolve and vary by state and country. The lack of final regulations increase the uncertainty over the investment. Consumer Protection There is currently no consumer protection like the FDIC available for digital currencies. Unwinding a bad deal or getting money refunded in the event of theft or lost wallets is not an option. Calculating the trapped-in gains for digital currencies would be similar to other property asset classes and subject to the ongoing debates over the amount and application to pass-through entities. Finally, a portfolio discount may be applied to a company or interest in a company that holds disparate assets. As digital currencies are unlike any other asset category, considering a portfolio “nonhomogeneous” discount for valuation engagements might be appropriate. Throughout history, the theft of valuables necessitated storage at a physical location. For Gaius Verres, governor of Sicily in 40 BC, this meant building a storehouse for the statues, tapestries, gold rings, decorated goblets, and fine furniture looted from the local populous. With the advent of digital currencies, storage has become much easier. Now, millions of dollars can disappear in an instant and stored on a thumb drive. In 2013, the Mt. Gox Bitcoin exchange experienced a system failure and approximately $460 million worth of bitcoins evaporated. Fortunately for forensic operators, there are strategies for these types of engagements. 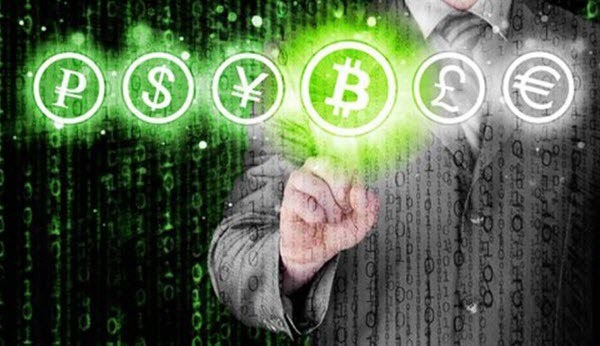 The traditional procedures of “following the money” extends to digital currency accounts. Comparing transactions from the individual’s bank statement against the Bitcoin or altcoin accounts will remain the first step for most engagements. For those requiring a more robust analysis, tracing the activity through the public block chain from the user’s digital wallet and/or obtaining the assistance of an IT professional may be necessary. The block chain ledger gives every participant in the system a tool through which they can hold each other to account in a completely transparent fashion without the intervention of a central authority or supervising organization. This massively distributed, secure ledger clears, records, and settles all bitcoin transactions. The transaction verification and related metadata is key for forensic operators as Bitcoin’s public ledger records every transaction. As the digital wallets are tied to a specific person’s name, the entire record of that person’s wallet is easily available for anyone to see on the block chain. In that sense, it’s the most transparent financial record the world has ever seen. In other words, the history of every transaction ever recorded for each of the roughly 15 million bitcoins reside in the block chain. This is welcome news for anyone tracing money through the system. The forensic analysis of digital currencies would not be complete without consideration of the criminal aspects. Underground markets like Silk Road, money laundering schemes, and other cybercrimes primarily use digital currencies for their activities. While there are steps forensic operators can take once the digital wallets are identified, the intentional anonymity and decentralized system make detection difficult. Often, cybercriminals use “tumbling” services to mix several transactions at once for masking the identities. In addition, the criminals are typically cloaked on the Dark Net through the Tor Browser. In a recent survey, the number one issue facing forensic and valuation professionals is electronic data analysis. As demonstrated in this article, there are a number of factors to understand digital currencies. It’s up to analysts to recognize the existence of digital currency accounts, their impact on valuations, their potential for hidden assets, and the flow of electronic money. The time to prepare for engagements involving digital currencies is before a potential client calls. Reading about digital currencies and building a relationship with a qualified IT specialist will help determine whether this is an area to be explored by your practice. Readers are encouraged to follow the industry trends as it is just a matter of time before you get a case involving a Bitcoin or altcoin account. Adding document requests for digital currency accounts will be a good start and may lead to surprising results. Accepted practice is it use Bitcoin (singular, upper case letter B) to refer to the protocol, software, and community. The bitcoins (lower case b) are units of the currency. Source: bitcoin.stackexchange.com. Sagona-Stophel, Katherine, Bitcoin 101: How to Get Started with the New Trend in Virtual Currencies, White Paper, Thompson Reuters. Definition of Cryptocurrency, www.coinpursuit.com, last accessed November 2, 2015. In USD ($), Source: www.coinmarketcap.com, November 10, 2015. Since the currency values are volatile, the volume figure changes daily. To illustrate, the trading volume was approximately $20-$30 million over the summer. Bartlett, Jamie, The Dark Net, Random House, June 2015. Donnelly, Jacob. Bitcoin price hits 2015 highs led by Chinese exchanges. BitcoinMagazine.com 2 Nov. 2015. European Central Bank, Virtual Currency Schemes, October 2012, page 23. Internal Revenue Bulletin: 2014-16, Notice 2014-21, April 14, 2014. Novack, Janet, How to Donate Bitcoin to Charity and Get a Big Tax Deduction, Forbes, December 22, 2014. Note that the IRS requires Form 8283 for donations over $500. Bajpai, Prableen, The Risks of Buying Bitcoin, Investopedia, November 10, 2014. Source: www.coinmarketcap.com, November 10, 2015. Pratt, Shannon, Business Valuation Discounts and Premiums, Second Edition, Wiley, Page, 291. Please refer to Roman Life in the Days of Cicero and the Trial of Gaius Verres in by Reverend Alfred J. Church, 1892. McMillan, Robert, The Inside Story of Mt. Gox, Bitcoin’s $460 Million Disaster, Wired Magazine, March 3, 2014. The alleged hack to the system involved 850,000 bitcoins, of which, 200,000 of them were recovered when the CEO found them in an old (digital) wallet. Prosser, David, Bitcoin Triggers a Significant Chain of Events in the Financial Sector, Blok, Kurtosys.com, October 29, 2015. Pagliery, Jose, Bitcoin and the Future of Money, Triumph Books, Chicago, 2014. The 2014 AICPA Survey on International Trends in Forensic and Valuation Services. EJason R. Pierce, CPA, CMA, CFM, CVA, MAFF, MBA is a Principal in the Boston accounting firm Edelstein & Company LLP, a Massachusetts-based CPA firm that provides comprehensive valuation, forensic, and advisory services. Mr. Pierce is a member of the Massachusetts Society of Certified Public Accountants and NACVA. His work focuses on forensic and business valuation advisory services. Mr. Pierce can be contacted at: (617) 478-3479 or e-mail to: JRP@edelsteincpa.com.